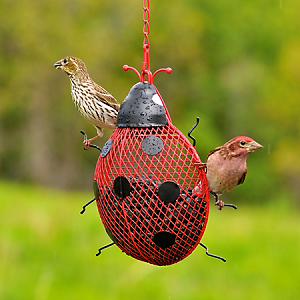 This ladybug mesh bird feeder is adorable! It holds 6# of seed and can be used to feed peanuts, sunflower seed, suet nuggets and more!! It is powder coated, and made of metal mesh. This feeder will accommodate clinging and perching birds.